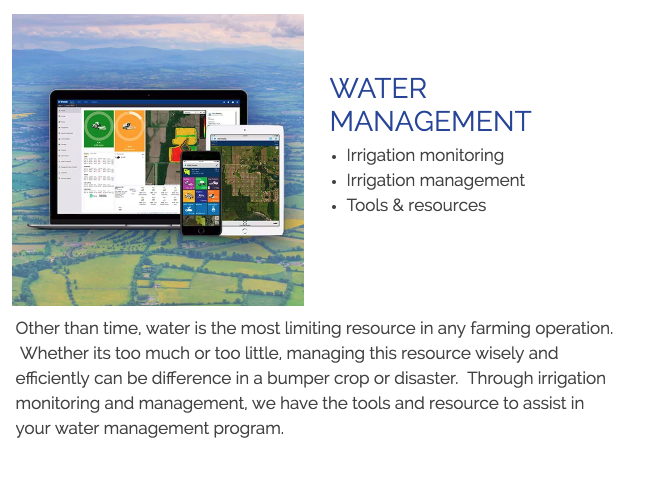 Vantage South is focused on providing precision ag solutions that our growers and customers require in order to maximize each acre in their operation. We have accomplished this by listening to the needs of our customers and employing industry leading staff members to provide these necessary service solutions. Our staff is a network of experienced and professional team members who pride themselves on helping growers push the potential of their operation. 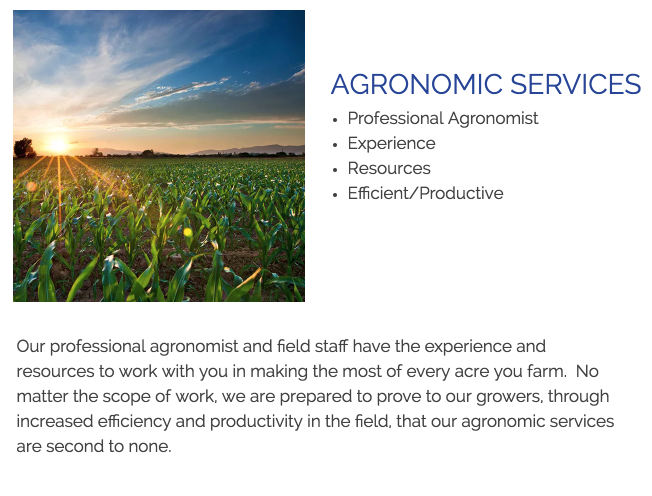 Our professional agronomist and field staff have the experience and resources to work with you in making the most of every acre you farm. Meter performance can have a big impact on your bottom line. 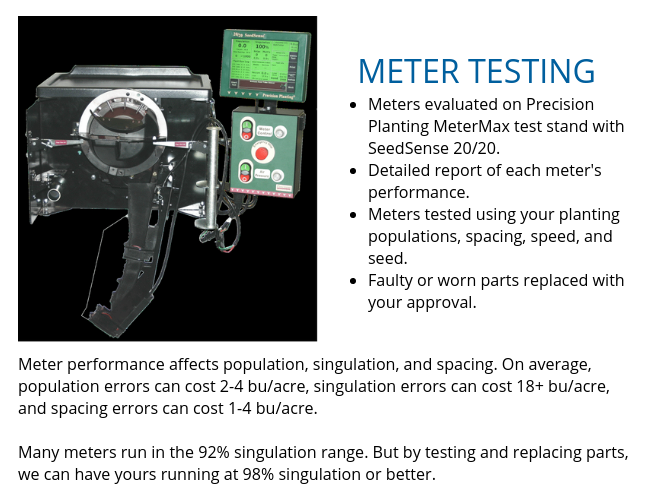 Have yours tested to maximize your planter’s performance and increase your yields. After collecting field data from any display, we use multiple versions of software to inspect, clean and edit the data. 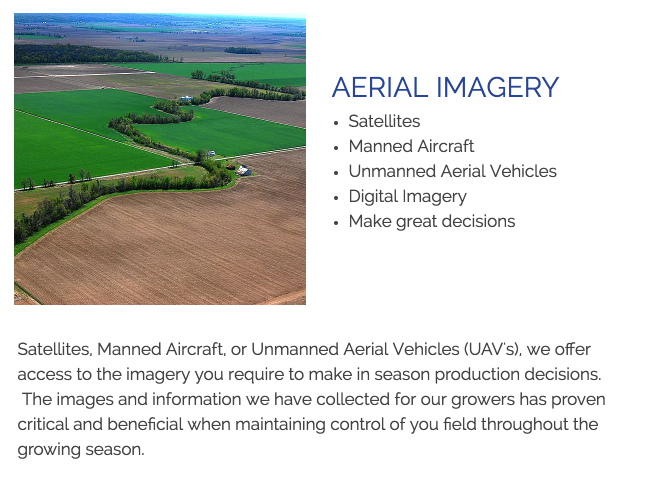 With satellites, manned aircraft, or Unmanned Aerial Vehicles (UAVs), we offer access to the imagery you require to make in season production decisions. 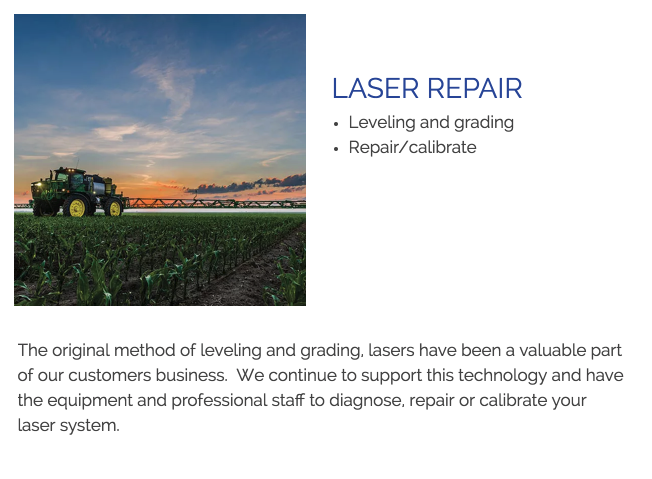 The original method of leveling and grading, lasers have been a valuable part of our customers’ business. 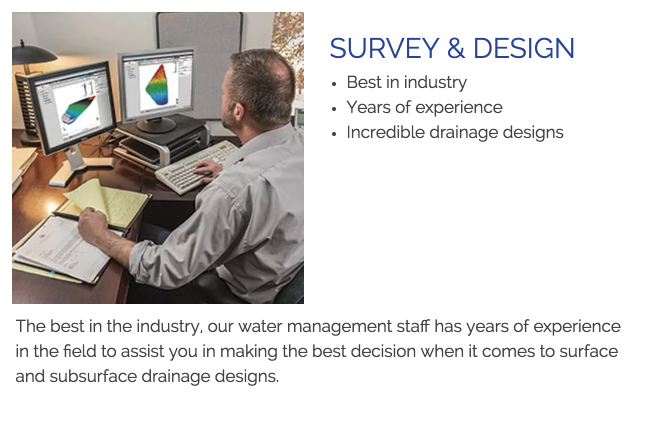 The best in the industry, our water management staff has years of experience in the field to assist you. 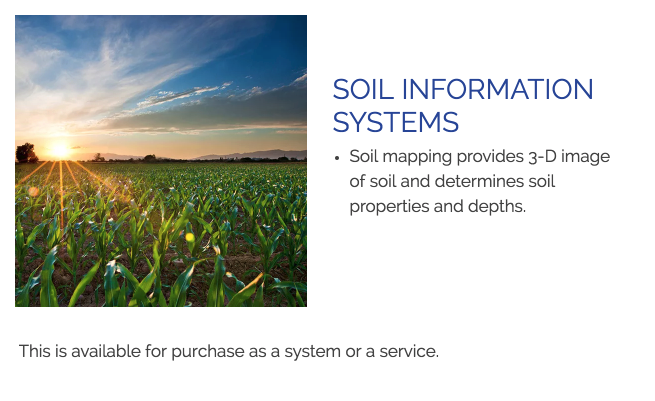 There is no other soil collection and analysis program available in the agriculture industry. 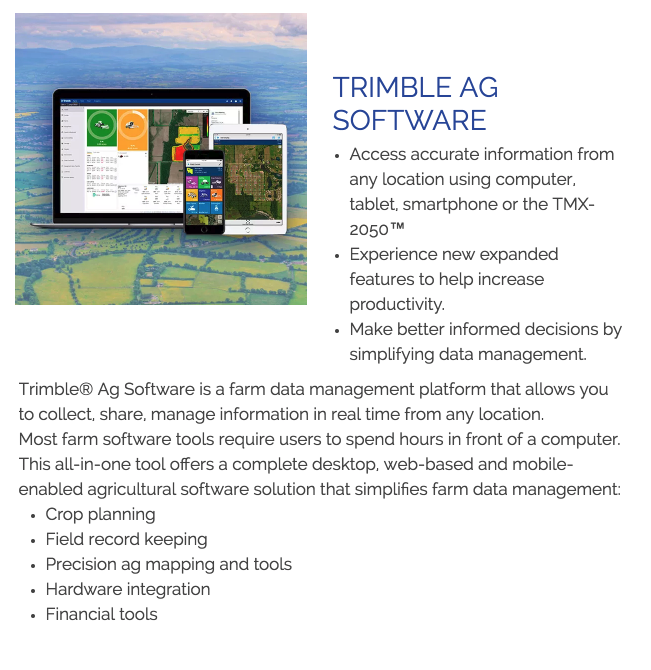 Mobile and easy to use, the new Trimble Ag Software programs are what growers have been asking for. 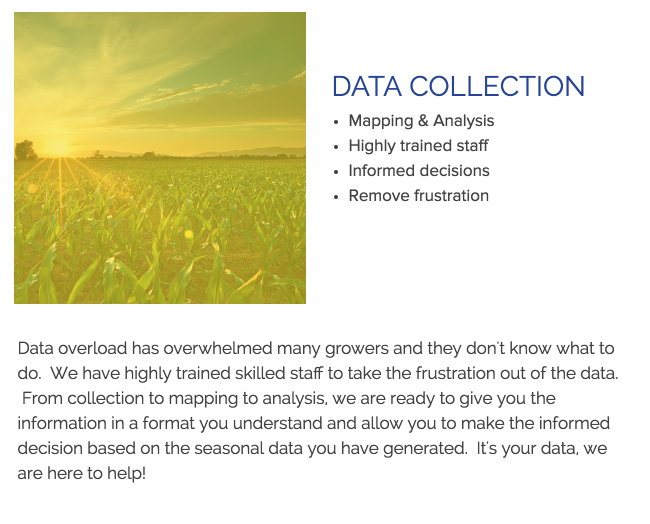 Our field staff has the most up-to-date precision ag collection tools for your operation. Other than time, water is the most limiting resource in any farming operation.